What’s the Deal with Antibiotics? We know about the bug that causes infection, thanks to Louis Pasteur and we know about antibiotics to cure them, thanks to Alexander Fleming. This ingenuous “cure” might work for infection, but chronic disease is a different story. And thanks to big pharma, our nation has developed the mindset that there is a “pill for that.” And, this is part of the reason that antibiotics are overprescribed – some patients aren’t happy until they get one. This is where our gut comes in. 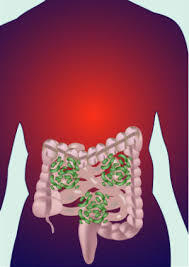 We have 100 trillion bugs or bacteria in our gut – that’s about 100 times more than we have cells and genes in our entire body! Think of the gut like a piece of real estate – we want to keep it clean and house it with good and responsible residents. If bad residents enter, we want to get them out, but we need to keep the good ones. The good bacteria control immunity, regulate digestion, protect against infections and even produce vitamins and nutrients! And the bad ones of course prevent these good things from happening, or at least make them weaker. Antibiotics get rid of the bad bacteria, but they also get rid of some of the good ones. Wiping out the good guys can allow for overgrowth of bad guys – causing food allergies, fatigue, skin issues, digestive issues, mood disorders, and sugar cravings that lead to increased fat! 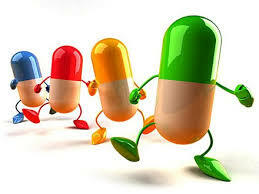 Antibiotics treat BACTERIAL infections. They do NOTHING for viral or fungal infections, and can actually make you worse. 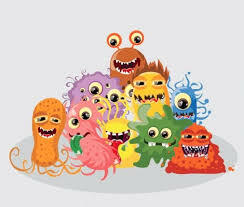 A study in The American Society for Microbiology demonstrated that the gut residents could be disrupted for up to an entire year with just one week of antibiotics! So, if you’re health care provider tells you that you have a viral infection, that means your body will fight it on it’s own and you do NOT need an antibiotic. Keep your real estate happy and safe! If you need to restock the good residents, read more about it here.